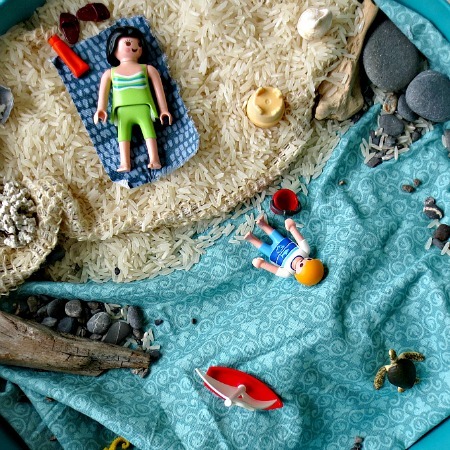 After we made this gorgeous mermaid travel tin for my 6 year old daughter (and before we made this toy car travel tin), my 3 year old son kindly asked for a dinosaur one. I was more than happy to oblige. These travel tins have been the best invention since sliced bread and I promise they will turn your life around too. 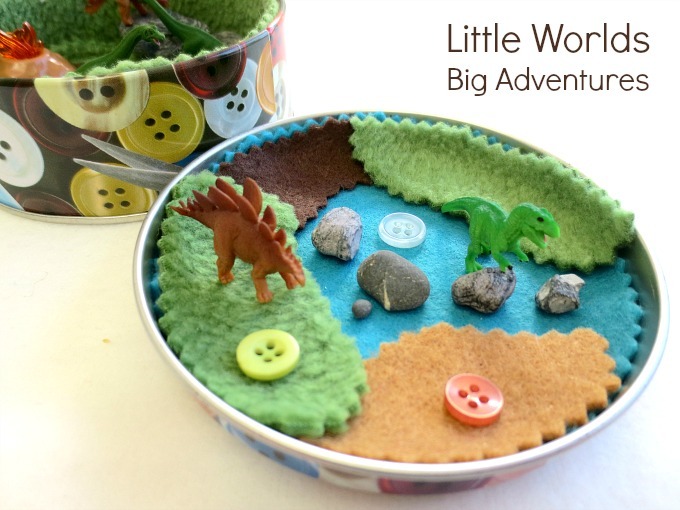 Have a look at how we put together our little mini dinosaur travel tin and get inspired to create your own! 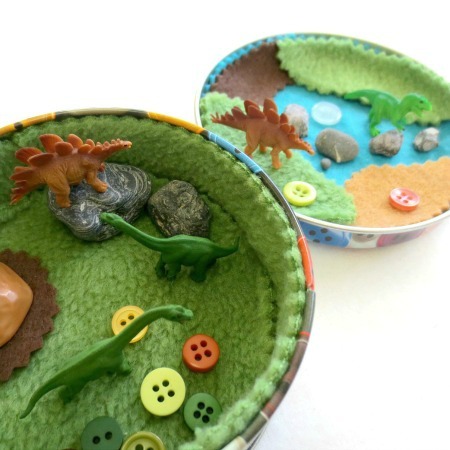 Putting together a mini dinosaur travel tin is ridiculously easy and you only need a handful of materials. 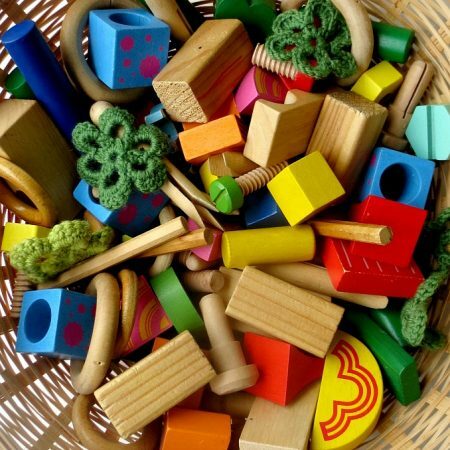 Once you have gathered all of your materials, it is simply a matter of putting it all together. You start by cutting out the felt to pad the insides of the tin. Don’t forget to do the lid as well. If you want you can glue the felt on. 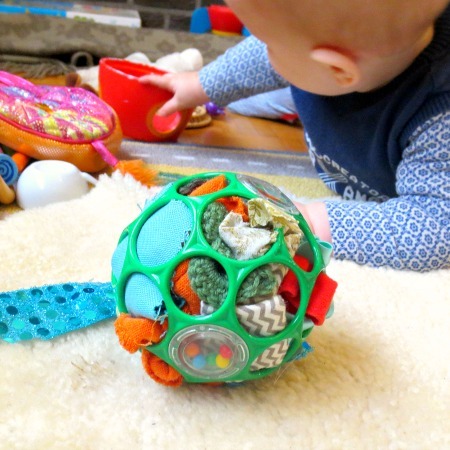 I din’t because it stays in place quite nicely and at times my kids like to move the felt mini play mats around creating new small world scenes. Whatever you think will work best for you. 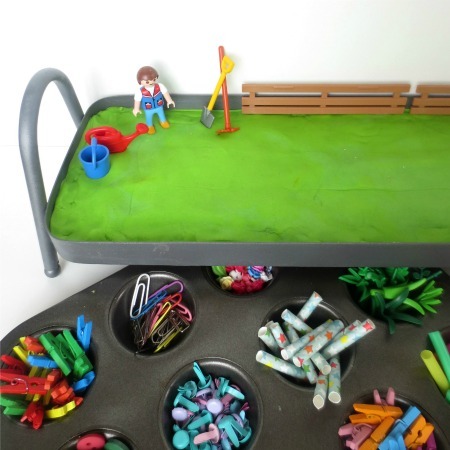 Then you start putting everything else in place, creating an irresistible little ‘playscape’. Dinosaur Play for the Win! 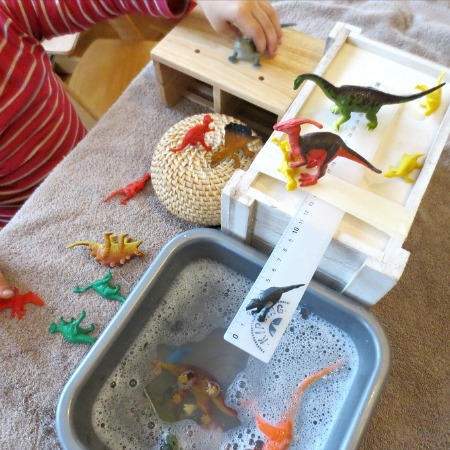 Little dinosaur fans are the cutest and their imaginary play is the best! In my experience the dinosaur loving toddler is easy to entertain. All you need is a couple of dinosaur versions of classic winning play ideas and you’re all set. 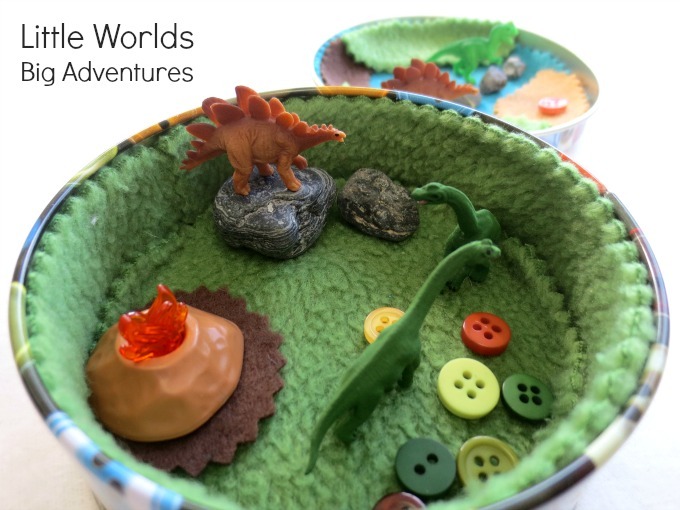 Here are a couple of our favourites: Dino Jump & Wash, Invitation to Create a Mini Dinosaur World, Dinosaur Small World, Dinosaur Play Dough Kit and Frozen Dinosaur Eggs. 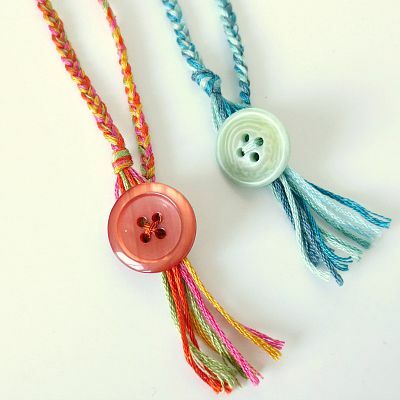 Would you like to pin this post? You can do that here. 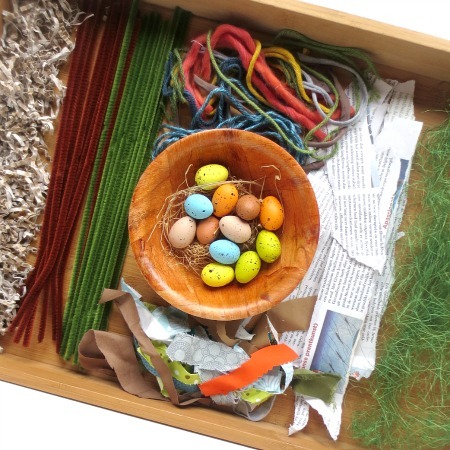 « Make a Mini Magnetic Fishing Game to Play and Learn! My daughter loves all things dinosaur, and we tried this activity last week. She LOVED it. The tin she mades now goes to church with us, on long car rides, and even goes outside. Thanks for such a fantastic idea! I’m currently working on a blog post about a Kindergarten Dinosaur Unit Study, and would love to credit you and your idea, if that’s okay! Wauw, how exciting! She must be so proud!! 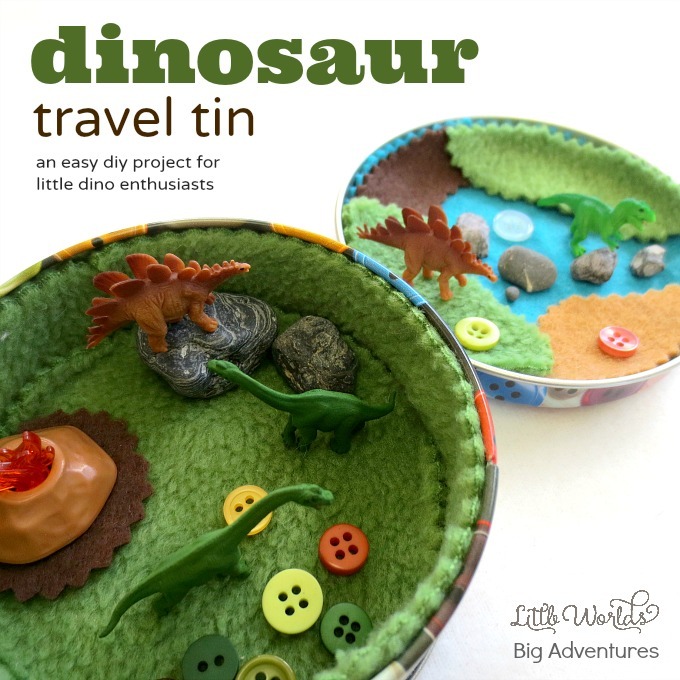 It’s totally fine to include the dino travel tin in your article, you can grab an image if you want and link back, that would be great. 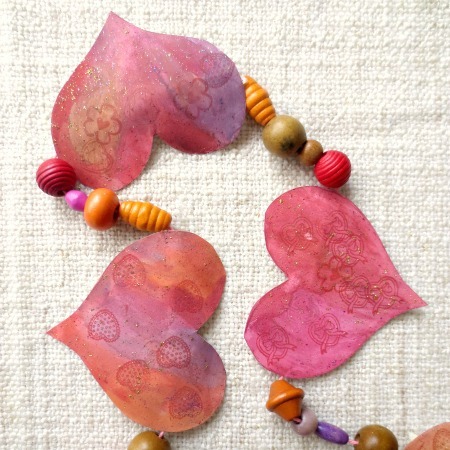 I’d love to see your blog post, feel free to drop a link on the facebook page and I’ll share it if you want. Thanks for your lovely words! This is fantastic! 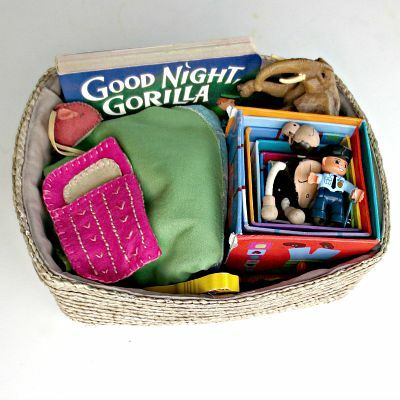 My kids will love to take this with when we travel. What a great idea.